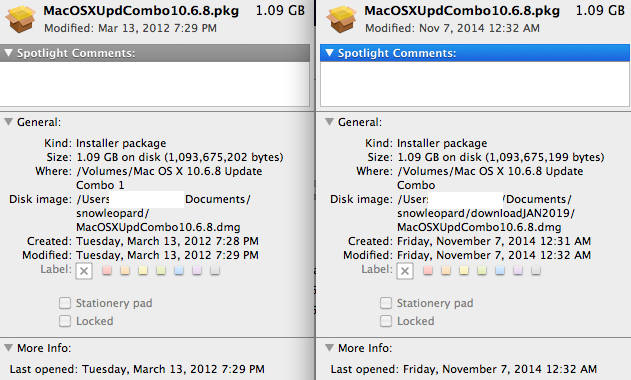 It turns out the MacOSXUpdCombo10.6.8.dmg available online is not quite the same as the one I had previously downloaded, the file size was slightly smaller, and the creation date later. Is this simply a case a developer signature expiring, and publishing a rerelease? If so, Is my new MacOSXUpdCombo10.6.8.dmg also going to expire? It's just nice not to have to wait to re-download something from a crappy link for hours only to discover it timed out at less than 5%. I was hoping to make an install media for this, but it seams pointless if it's not going to work the next time I need it. Is there a way to get around installer expiration issues? Set the date on the Mac back to to for example 1st of May 2012 using "Date & Time" in System Preferences. Remember to turn off "Set date and time automatically". This will allow you to bypass the expiration check. Remember to set the time and date back when you're done updating. Not the answer you're looking for? Browse other questions tagged snow-leopard software-update dmg pkg . 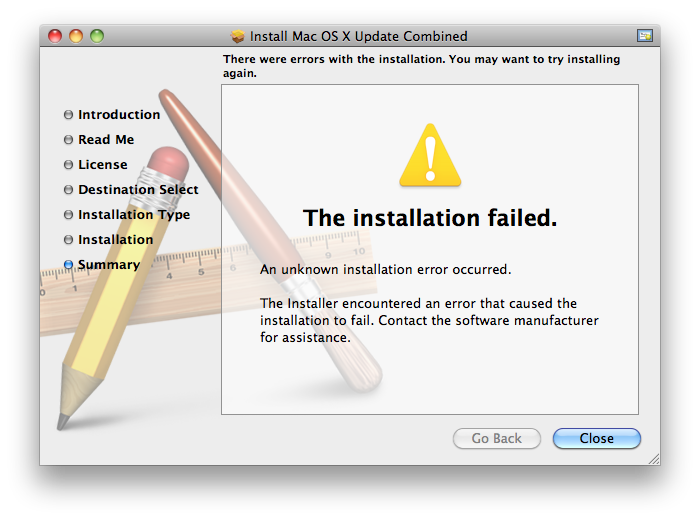 What's the “Combo” OS X Update?